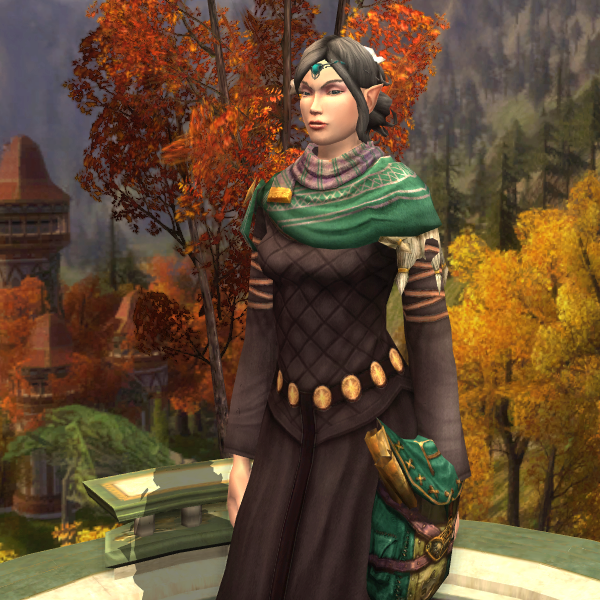 I decided to try out the Runekeeper class, and named the new character after a similar style of mage from another fantasy series, Robert Jordan’s Wheel of Time: Cadsuane Melaidhrin of the Green Ajah, eldest living Aes Sedai. 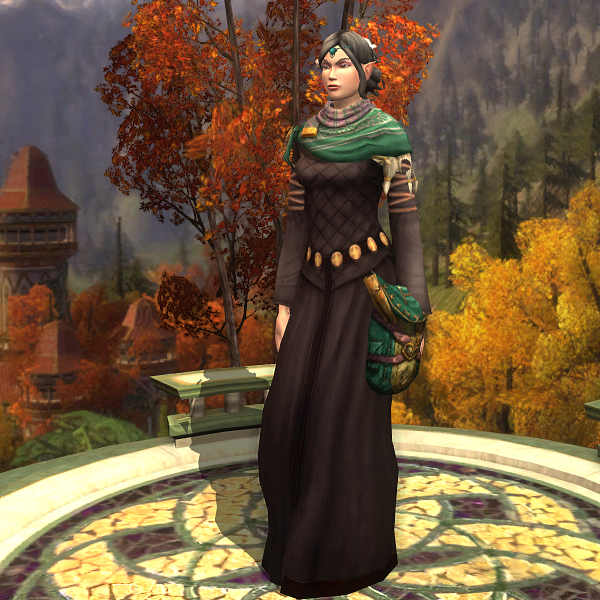 The rune-stones used as weapons by the Rune-keepers seem pretty analogous to the angreal used by Aes Sedai. 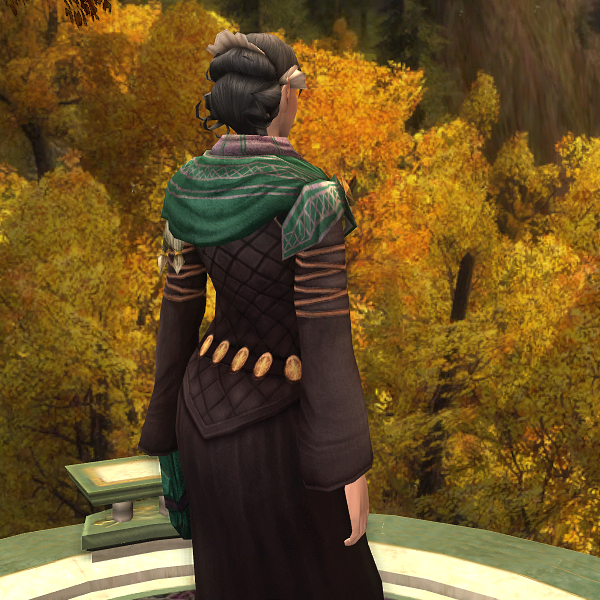 Cadsuane wore angreal as hair ornaments, hence the hairstyle I’ve chosen, plus the circlet, for Melaidhrin in LotRO. 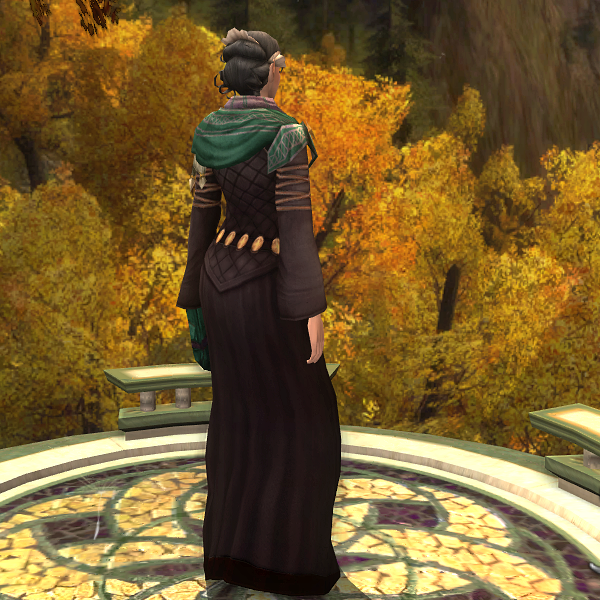 …The Dress of the Anorien Autumn is definitely a top-five cosmetic item out of everything I’ve seen in the game, in my opinion. Love it. 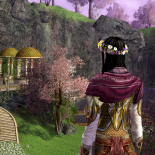 This entry was posted on 2016.08.23 by vyh in Outfits and tagged aes sedai, angreal, brown, cadsuane, dress, lord of the rings online, lotro, melaidhrin, runekeeper, turquoise.